Hearthstone: The Witchwood: New Hunter rare spell revealed, Wing Blast – AiPT! Could this rare Hunter spell become an auto-include in all Hunter decks in The Witchwood? 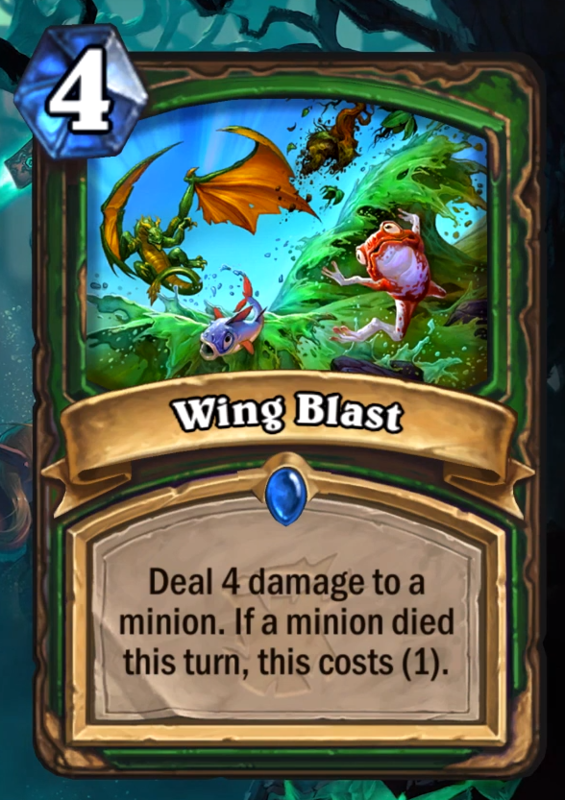 4 damage for 1 mana? I’ll take it. Looks like that could be legendary Hunter dragon Emeriss in the card art as well? Card Text: Deal 4 damage to a minion. If a minion died this turn, this costs (1). Seems like a card that should see plenty of play in Ranked ladder. What are your thoughts? Sound off in the comments.